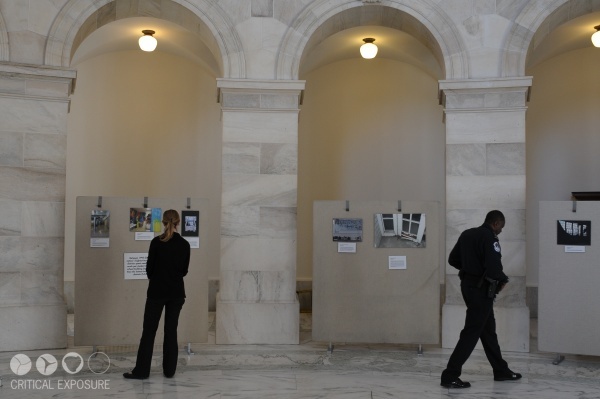 Editor's Note: Exhibit in the Russell Senate Office Building Rotunda on Capitol Hill. The exhibit featured the finalists of the Through Your Lens National Photo Contest on School Facilities, a joint initiative between Critical Exposure, the 21st Century School Fund, and Healthy Schools Campaign. 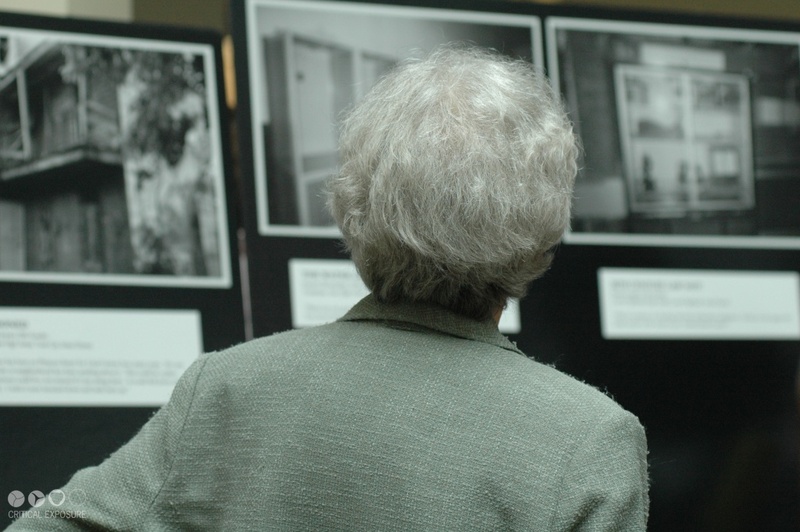 Editor's Note: A visitor looking at student photographs at the Pennsylvania State House in Harrisburg. 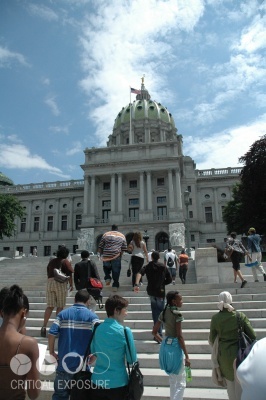 Editor's Note: Student photographers and advocates head to the Pennsylvania State Capitol to advocate for more equitable distribution of state resources for education.